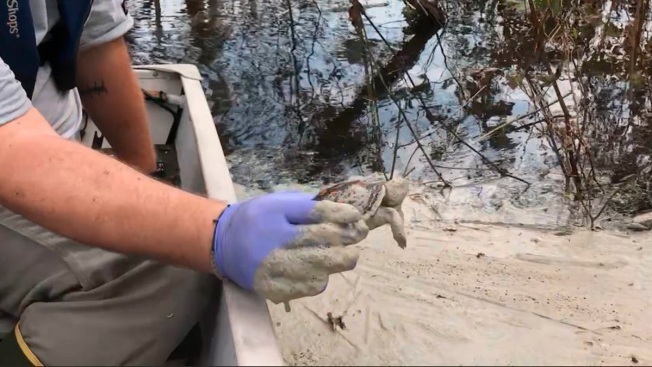 In this screen grab from a Sept. 21, 2018, video provided to The Associated Press by Earthjustice, an environmental advocacy group, a turtle is plucked from gray muck along the Cape Fear River near the L.V. 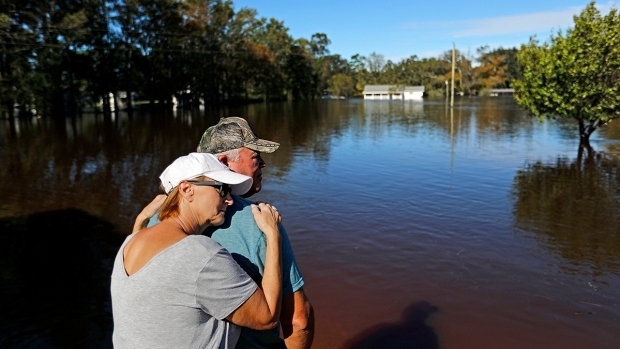 Sutton Plant near Wilmington, N.C. Floodwaters breached a dam at the electricity generating plant on Friday and overtopped a coal ash dump, potentially spilling toxic materials into the river. 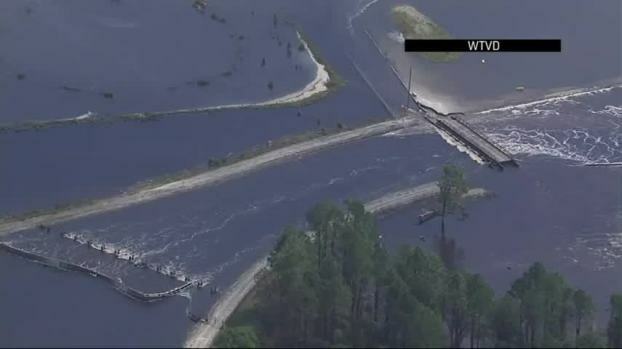 Gray muck is flowing into the Cape Fear River from the site of a dam breach at a Wilmington power plant where an old coal ash dump had been covered over by Florence's floodwaters. Forecasters predicted the water will continue to rise through the weekend at the L.V. Sutton Power Station. Duke Energy spokeswoman Paige Sheehan said the utility doesn't believe the breach poses a significant threat of increased flooding to nearby communities. Sheehan said the company can't rule out that ash might be escaping the flooded dump and flowing through the lake into the river. Inspectors with the state Department of Environmental Quality traveled to the plant by boat on Sunday to collect water quality samples. Environmental Secretary Mike Regan said aerial video of the site show "potential coal ash" flowing into the river. 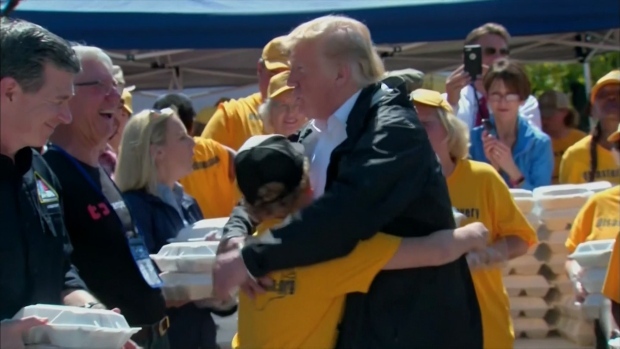 "When the environment is conducive, we will put people on the ground to verify the amount of potential coal ash that could have left and entered those flood waters," Regan said. Floodwaters breached several points early Friday in the earthen dam at Sutton Lake, the plant's 1,100-acre (445-hectare) reservoir. Lake water then flooded one of three large coal ash dumps lining the lakeshore. The ash left over when coal is burned to generate electricity contains mercury, lead, arsenic and other toxic heavy metals. Duke said Friday the plant's inundated basin contains about 400,000 cubic yards (305,820 cubic meters) of ash. Gray material the company characterized as "coal combustion byproducts" could be seen floating in the lake and river. "Any big spill like this raises concerns about the impacts on the estuary ecosystem in the lower Cape Fear River," said Pete Harrison, a staff attorney with Earthjustice on the boat. "This is Duke's third coal ash spill in the aftermath of Hurricane Florence, and it looks like it's the biggest yet." "As of this evening, North Carolina has not requested additional support," he said. Duke denied a request for an Associated Press reporter to cross the barricade, saying the lake situation "continues to change" and is "not safe." The breach at the Wilmington site is separate from last weekend's reported rupture at a nearby coal ash landfill, which spilled enough material to fill 180 dump trucks. Duke's ash waste management has faced intense scrutiny since a drainage pipe collapsed under a waste pit at an old plant in Eden in 2014, triggering a massive spill that coated miles of the Dan River in gray sludge. The utility later agreed to plead guilty to nine Clean Water Act violations and pay $102 million in fines and restitution for illegally discharging pollution from ash dumps at five North Carolina power plants. It plans to close all its ash dumps by 2029. State environmental regulators visited the site Thursday, but said they could not make a full assessment because of high water levels. The Duke spokeswoman Sheehan said any coal ash release at the Goldsboro site appeared "minimal." Meanwhile, South Carolina's state-owned utility said floodwaters had also entered a coal ash dump at its closed Grainger plant near Conway. Associated Press reporters Jeffrey Collins and Denise Lavoie contributed to this story.